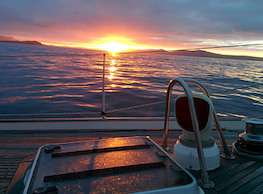 Learn to sail on West Cork’s three stunning local bays. Bantry Bay, Dunmanus Bay and Roaring Water Bay offer technical challenges to suit everyone from the novice sailor to the crew looking to develop skills and experience. We’ll help you build your practical experience and confidence as you work towards your RYA sailing qualifications. 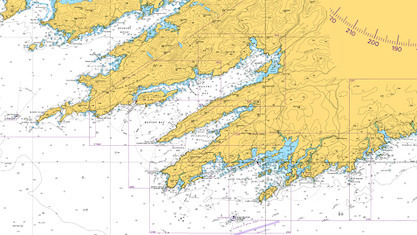 Carbery Sailing is based in the small Irish fishing village of Ahakista on the Sheep’s Head peninsula, part of West Cork’s stunning Atlantic coastline. The peninsula has been recognised as a European Destination of Excellence for its unspoilt beauty, and it gives you unrivalled access to three bays dotted with islands and inlets. Whether you’re here for a ‘taster’ session, or working towards your RYA qualifications, we’ll work with you to build your confidence, wind awareness, and well-rounded sailing skills in a fun and relaxing atmosphere. Get in touch to arrange your visit to Carbery Sailing today. We can help organise every aspect of your holiday here in West Cork, and tailor our courses to your requirements. Our professional and friendly instructors cater for novice sailors and for people looking to advance their sailing skills. We deliver quality theoretical and practical training courses that allow you to learn to sail using the world renowned RYA training scheme. NOTE Download a PDF version of the Sail Training Brochure. If you have not sailed before and want to discover what it's all about, then join us for a 2 day introduction course in beautiful West Cork on our luxury Hallberg-Rassy yacht 'Merlin'. 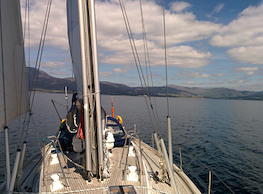 Join as an absolute beginner and experience the delights of sailing aboard an Ocean cruising yacht for 5 days. You will build your confidence and skills needed to be an asset and competent member of any crew in a safe and enjoyable environment. Give yourself the confidence to skipper a yacht and knowledge to make safer decisions. 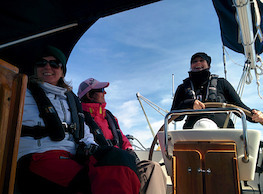 This 5 day practical course will equip you to plan, navigate and sail a passage in familiar waters by day. 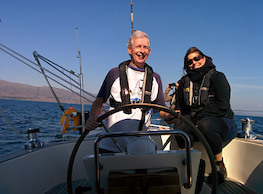 In just 9 days we will teach you to navigate and develop your confidence to skipper a yacht. 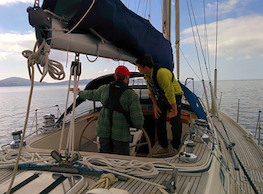 You will be able to plan, navigate and sail a passage in familiar waters by day and have an initial grounding to help you make safer decisions on the water. Develop the confidence to sail extended passages along the coast and to sail by night. This 5 day course is an ideal bridge between the Day Skipper course and the full RYA/MCA Yachtmaster Coastal examination course. 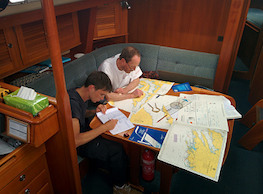 We understand that sometimes you want to learn in the familiar environment of your own boat and people you know. Our instructors can teach you anything from a full RYA course to maybe just a day’s instruction focusing on your own individual requirements. The RYA Training Scheme is designed in such a way that in order to learn to sail safely and successfully, further experience or consolidation is often required before advancing to the next level. This can be achieved in a variety of ways. 1 For those that have achieved Day Skipper Practical qualification or higher why not charter a yacht in Greece and really put those skills into practice. 2 Alternatively, join us for a mini-cruise or a distance week cruise which will help increase your confidence and build your mileage on the Irish Atlantic Coast, The Scilly Islands and the Channel Islands. Don't forget that you are very welcome along at any time just for a refresher or brush up or even just to get away from it all and go sailing! You don't have to be booked on a specific course. Whatever your reason for wanting to learn to sail you are assured of a warm welcome and patient instructors who do have a sense of humour!